15mm.co.uk has special deals going on for their Norman miniatures on their webshop. Stay tuned for deals on Jeffrey, Gerald, and Keith. 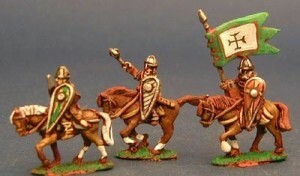 We have some very large ranges of 15mm scale historicals here at 15mm.co.uk. Some might say we do not show them as much love as we do our big Fantasy and Science Fiction ranges but that ain't the case. We seldom have releases in this area compared to the others and since almost all our news is releases it does not get mentioned much. But they are there and they are popular too. So we have a special offer for you on Isarus brand 15mm Normans from now until the 12th September 2014. We are offering 15% off the regular prices of all N and NC codes which are single miniatures or small sets for maximum choice. The prices are all changed on our site and all you need do is add to the cart.